What are the closest casinos in or around these cities? Along with the local casinos by each city (seen below) each section also includes additional local attractions. More information is available about each service provider by clicking the desired logo. Additional information that is included is about casino bonuses, promotions, wagering requirements and depositing options. Queensland, Australia is home to several luxurious hotels and casinos. One popular destination is Jupiters Hotel and Casino. Jupiters opened in the early part of 1986. It was the first establishment, in the casino and hotel industry, to open in the area. It is located in the Queensland’ suburb of Broadbeach. It is located near the Gold Coast and the Nerang River. The hotel has undergone two massive renovations in the past decade. These renovations have updated the 595 rooms to include modern and luxurious spaces with incredible views of the surrounding area. The hotel offers guests many amenities that include laundry service and twenty-four hour room service. Guests can also enjoy the pool area, tennis courts, fitness center, and golf course. Patrons can also attend a show in the theatre, dine in one of seven restaurants, or have a drink in one of eight bars. The onsite spa also offers a variety of services including massages and a modernized steam room. Conference rooms and a ballroom are also available to rent out to accommodate large parties and corporate functions. A monorail is set to take patrons around the casino, hotel, and to the adjoining shopping center around the clock. The state of the art gaming room offers visitors a variety of slots, card games, and other casino favorites. The casino originally had two gaming rooms. The recent renovations, however, opened these two rooms into one large gaming area. Visitors can now enjoy over 65,000 square feet of gaming options to choose from. Jupiters Hotel and Casino is known for its colorful history. It was the first casino to open in the area. The casino has also had a long history of fraud, theft, and money laundering. The establishment is now owned, and efficiently ran, by ECHO Entertainment Group. Jupiters Hotel and Casino is a great destination location for any group of people. Families can enjoy various attractions near the hotel and casino, along with the on-site kid’s pool. Guests can also choose from a variety of available packages, include guys’ night out and girls’ night out. In December 1985 the Adelaide Casino opened its doors in South Australia (SA), a state located in the central southern part of the Commonwealth of Australia. The state capital is Adelaide from which the casino gets its name. The casino is housed in the historic Railway Station in the part that is no longer needed for use by the railway. The station can trace its roots back to 1856, but the original Adelaide station had to be torn down to make room for the more impressive and modern new station that was built in 1926 to 1928. At that time there was a huge Marble Hall that was domed and was used as grand waiting area. That impressive piece of architecture became incorporated into the casino in the mid 1980s. The Lotteries Commission held the gaming license when the casino first opened. They appointed a privately held company Aitco Pty Ltd to set up and run a casino. When the casino opened it had 3 levels with 89 gaming tables. By 1991 the casino received authorization to add video gaming machines, and by 1993 they were allowed to add spinning reel machines or poker machines. The casino had 674 machines installed by 1997! As of June 2000 SKYCITY Entertainment Group bought the casino which meant that it became the SKYCITY Adelaide officially in April 2001. The property underwent an interior redevelopment project and by 2009 the name went back to Adelaide Casino even though Skycity still owned it. The Auckland-based SKYCITY Group is a top entertainment and gaming company that employs at least 3,400 people. The Adelaide Casino is the 10th largest employer in the city with over 1100 employees on staff. The casino is also good for the economy since it puts about $30 million into South Australia each year. Plus they pay about $19 million yearly in State taxes. Back in the 2007-2008 fiscal year, the casino paid more than $41 million in charges and taxes to both the State and Federal Government. Adelaide Casino covers three floors in the heritage listed railway station in the middle of Adelaide. It is regarded as a world-class destination for entertainment and gaming. In addition to the latest gaming automation, the casino is home to outstanding restaurants and bars. There are two floors of gaming and a large variety of games so that everyone can find a game to their liking. There are blackjack tables and pontoon tables (a variant of blackjack) for your enjoyment. Other table games include Casino War, Baccarats, Roulette, Caribbean Stud, and many more. There is also an entire floor devoted to poker and its many variations. It is a great way to spend a vacation! The phone number and address of the casino is +61 8 8212 2811 and North Terrace, Adelaide, South Australia. For tourists and visitors to the Queensland region of Australia, the Reef Hotel Casino is an entertainment venue that should not be missed. With all kinds of classic and new table games, to over 500 gaming machines full of slots and other electronic state-of-the-art games, the Reef Hotel Casino has it all, and both high-stakes gamblers as well as brand new gamers can enjoy their time there. In addition to its casino floors, the Reef Hotel Casino also has luxurious rooms and suites as well as high quality restaurants and bars for its guests to kick back and relax. Through the Reef Club, guests can take advantage of many of the rewards programs such as The Ultimate Amateurs Experience, Double Daze, Beat The Heat, and many others to maximize the overall gaming experience. This venue was first looked into in 1992 after a corporation of interested parties took up the Queensland government’s offer to build this Casino in Cairns. The Casinos Austria International Limited, Australian Olympic Committee, Country Comfort Trust No 1, and Touraust corporations all joined to form the Reef Casino Trust, which became the operating entity of the Casino and in 1996, the government license was granted to them to operate this casino. The entities are owned by Casinos Austria International Limited and Accor Casino Investments Australia PTY LTD, recognized by the Australian Securities Exchange (ASX) and shares are open to public investors to purchase. Beyond the 128 luxurious hotel suites, gaming floors, and nightlife scenes, guests can also reserve designated rooms both large and small for business conferences, weddings, banquets, and other special occasions. The Reef Hotel Casino has staff on hand that can handle these events and help make sure that all the itineraries and schedules are properly managed and get through without any major glitches. The Reef Hotel Casino also has downloadable pdf brochures on its main site for visitors and business managers with all the necessary information needed for booking with them and what to expect while staying there. It’s easy to book a room with the casino for individuals staying there for personal vacations as there is a little pop-down menu on the Reef Hotel Casino website to fill in the necessary information. Businesses reserving rooms for conference rooms can do so on the conference enquiries page. The casino can be found on 35 – 41 Wharf Street in Cairn’s, QLD just off the Trinity Inlet and not far from the Cairns International Airport. For more information on the Reef Hotel Casino, call 61 7 4030 8888. “All packed and ready to go, honey?” Mel asked his new bride. “Yep. More importantly, I’m ready to WIN!” Stella replied. They’d been married for less than twenty four hours and already, they knew luck was on their side. Mom and Dad had surprised them with a honeymoon trip to Brisbane, Queensland, Australia. Mel and Stella were beyond thrilled to know that not only will they see where their ancestors lived, but they will also get to stay in the luxury hotel at Treasury Casino. Built in the 19th century, this grand casino originally known as The Treasury Building, has three levels of gaming tables and over 1,300 gaming machines. Refurbished in 1995, it is now called the Treasury Casino. Just a short distance from the Treasury Casino, the beautiful hotel is housed in what was once called the Lands Administration Building. “Ya know, I’ve always been pretty good at blackjack Mel. If I win big, I’ll buy you a new car!”. Mel quietly laughed to himself, knowing that Stella had never played blackjack or any other game in a casino before, but he was more than happy to teach his beautiful bride anything she wanted to learn. A swift flight to their beloved Australia, Mel and Stella were not prepared for the beauty and grandeur of the Treasury Casino and Hotel. Their room was beautifully decorated with every luxury you could imagine, including a deep soaking tub in the marble bathroom. The 18 foot high ceilings were almost as gorgeous as the view from their window overlooking the Brisbane River. They hugged and thought they may never leave this elegant room. That thought didn’t last long as they began to flip through the casino brochure. Blackjack, Roulette, Texas Hold’em, Craps, machines, why, the excitement was endless! The newly married couple enjoyed a drink at the hotel bar before deciding which game to play first. An unforgettable romantic dinner at one of the six Treasury restaurants later, there they were, hand in hand, at the biggest gaming table they had ever seen playing craps. Stella blew on the dice and a quick toss later, she couldn’t believe her ears when the crowd screamed “You won!” Stella was so excited, but seeing the love in Mel’s eyes was more than she could have ever hoped for. Years later, Mel and Stella would continue to travel to The Treasury Casino and Hotel in Brisbane, Queensland, Australia. They would take their children and together, they made memories to last a lifetime. Visit The Treasury Casino and Hotel and relax in the luxury of the beautiful buildings rich with history. The Treasury is located in the heart of the city center and close to international airports. Take a gamble and book your package today. You’ll be so glad you did! Named perhaps because of the sea of blue of the oceanfront right in its back yard, and the exotic tropical gardens that surround it, SkyCity is the premier casino and only 5-star resort in the city of Darwin up in the Northern Territory of Australia. Visitors couldn’t ask for much more in regards to this resort’s luxuries, from their 8-room spa, to a beachfront with easy access, and fancy swimming pools in addition to their gaming rooms, entertainment rooms, and cuisines. It’s no wonder that SkyCity is one of the most highly reommended places to visit for people spending vacation time in this region of Australia. This casino has had its name changed four different times throughout its existence. Founded in 1979 as the Mindil Beach Casino, this casino would soon exchange ownership through 3 different parties. The government bought out the property housing the casino and Greate Bay Casino Corp. and Aspinhall Holdings jointly operated it as the Diamond Beach Hotel and Casino until 1986. It was after buying out the Greate Bay holdings and then the government’s shares of the casino in 1987 that Aspinhall became the sole owner until 1995. MGM Grand then bought out this casino in 1995 and renamed it the MGM Grand Darwin and held ownership for about 10 years. Finally SkyCity Entertainment Group took over in 2004 and has held it ever since as the SkyCity Darwin. For all persons 18 and up, the gaming floors are open in this casino 24/7 and there is no break in the entertainment. The floors host over 750 gaming machines and tables games such as Roulette, Baccarat, Rapid Roulette, Money Wheel, Caribbean Stud Poker, and over 30 other table games to choose from. Visitors can also enjoy Australian flavors of seafood, steaks, sizzling platters, and all kinds of unforgettable tastes when they attend one of the casino’s fancy dining restaurants such as Evoo, Cove, Dragon Court, or il Piatto. And for guests that may be taking a break in the action, any one of the 7 bars are available to sit and have a drink. Booking at SkyCity Darwin is not difficult at all as their website contains a booking page to reserve either a room or a restaurant table at available slots. Larger function plans should be filled out on the enquiry page in the function section. The casino can be found at Gilruth Avenue, Gardens Darwin 0801 NT Australia and their phone number is +61 8 8943 8888. The Country Club Casino is a luxury resort style hotel and casino located in Launcestown, Tasmania. It prides itself as Launcestown’s only luxury hotel. The Country Club is located on an extensive 300 acres of land filled with beautiful wildlife, scenery, and lakes. Northern Tasmania is a wonderfully exciting, rural, and serene area to visit for anyone who hasn’t yet. They offer a variety of luxurious accommodations, and many choices for dining, room selection, and a variety of activities. Tasmania’s Country Club Casino offers a venue for live music and entertainment events. They have a detailed schedule including their upcoming shows and events. These typically include but are not limited to live music and comedy shows, as well as other musical events. If you would like to get out and enjoy the fresh air, the Barnbougle Lost Farm golf course is just a short drive away. With 3 golf courses within a short travelling distance this is the ultimate golfers getaway package. They also have a 270 meter driving range open 7 days a week, and a pro shop to accompany their 18 hole course. For the outdoors-man or woman, the Country Club Tasmania can be an absolutely thrilling place to visit. You can really experience the seemingly untouched wilderness, and get in touch with the nature of northern Tasmania. There are many local nature attractions in the surrounding area, including Cataract Gorge and Tamar Valley vineyards. Also included are many outdoor activities such as, golf, tennis, horseback riding, a full size squash court, duck feeding, and even trout fishing. More than enough to satisfy the avid sportsman. For those who fancy a relaxed vacation while stayed indoors, there are also quite a few activities available that you can do without getting your shoes dirty. The hotel offers an art exhibition featuring the work of many local artists, as well as Tasmania’s biggest bingo hall! The club houses a health and fitness area, and even a cinema to watch a variety of classic films. Of course, the casino is open for gaming on two separate floors. Whether you like electronic, or table games, both are available for your enjoyment. Country Club Tasmania first opened its doors in 1982 and has been serving their guests with luxury accommodations since then. To book your reservation at the Country Club Tasmania you may contact them at 1 800 635 344. Their physical address is Country Club Avenue, Prospect Vale TAS 7250, Australia. Enjoy your visit! Housed on perhaps Australia’s most gorgeous landscape known as the Derwent River, the Wrest Point Hotel Casino was actually this country’s very first authorized casino. Opening in Hobart (Tasmania) within the picturesque suburb called Sandy Bay in 1973, this property was eventually sold to Greg Farrell who was the founder of the Federal Hotels and still owns this resort. Unlike today, during the late 1960’s, individuals were not truly aware of the vivid landscapes and breathtaking beaches found in Tasmania, so tourism was not at a desired level. Seeing the charms of this land, Mr. Farrell felt that the Wrest Point Hotel could be the right product to entice tourists to this wild and diverse area. With designs completed by Keith Wildman, the hotel was originally built in the 1930’s by Arthur Drysdale, opened its doors in December 1939 and thrived during World War II. Privately owned by the Federal Group, which is responsible for being one of the world’s oldest hotel brand of chains. This family owned business is run successfully run by Greg Farrell’s children, with his son Greg serving as CEO, as well as Managing Director. This esteemed business also is responsible for other hotels such as the Saffire which opened its doors in 2010, bristling with stunning lighting created by Point Of View designers. A short drive from the colorful Salamanca Outdoor Market, guests staying at the Wrest Point Hotel relish in its extraordinary views of Hobart City’s waterfront and Mount Wellington’s serenity. Many hotel rooms’ offer incredible views overlooking mountains and blue water. The hotel’s casino area houses three floors providing several poker machines and for various events, convention centers are on the premises. Several floors high, the Point Revolving restaurant is found on Floor 17, serving contemporary Australian meals, while others can enjoy an afternoon tea, which boasts to be better than those found in London! While dining here, individuals are provided with an implausible view of Hobart due to the restaurant’s rotation so diners are equally thrilled by views and delicious food. The hotel caters to guests who wish to indulge in cocktails and music by offering the Birdcage Bar. The Wrest Point Hotel Casino additionally provides a lovely location in which visitors can stroll along streets lined with charming cottages and roses in bloom. Individuals who wish to reach the hotel can do so by calling +61 3 6211 1750 and it is located at 410 Sandy Bay Road, 7005 Hobart, Australia. Crown Casino and Entertainment Complex is one of the largest casino and entertainment developments located on the bank of Yarra River, in Melbourne, Australia. Crown Entertainment Complex centralizes more than 18 million guests every year, and it provides an excellent combination of continuous entertainment, luxury and warm services. Crown Casino is a subdivision of Crown Limited. The casino and entertainment complex commenced its activities in 1997 after relocating from a momentary area (World Trade Centre) that opened in 1994 on the north bank of Yarra River. It is among the significant aspects of the Southbank location in the central business district. Anyone under the age of 18 is not allowed in the gaming area or areas serving alcohol but are only permitted in the shopping and entertainment segment of the complex. The whole complex occupies 510,000 m² which is equal to two city blocks making it the largest in the Southern region and among the largest in the world. The sensational black marbled Atrium has ultra modern crystal ceiling, unique lighting effect and music that make the complex lively and full of entertainment. All through the year, Crown refreshes its clients with free attractions such as Chinese New Year and Christmas Spectacular. The complex accommodates a variety of entertainment and refreshing areas such as cafes and 40 restaurants, bars, cinemas, an indoor diversion park supplemented with two-night clubs and live entertainment theatre all under one roof. The casino is open 24 hours a day, 7 days a week apart from Christmas day, Anzac Day and Good Friday, when it is not open from 4, am to midday. It was formerly established and managed by Lloyd Williams prior to the Packer merger by PBL in 1999. Packer inherited jurisdiction of the family company, Consolidated Press Holdings Limited that controls ventures in Crown Resorts, Zhoapin Pty Ltd, RatPac-Dune Entertainment and other companies. In 2006 and 2007, Packer was ranked the richest man in Australia and in May 2015, the BRW magazine evaluated Packer’s net worth at A$6.08 billion, making him the seventh richest Australian. In the meantime, in January 2015, Forbes Asia magazine evaluated Packer’s net worth at US$4.7 billion ranking him the fourth richest Australian. Packer and his family have largely provided to the Australian community via the family foundation, the Packer Family Foundation Board. He is also a principal donor through his mass-holding investments in Crown Resorts. The Crown Resorts Foundation offers donations to the community welfare, health care, arts and the environment. You can locate Crown Casino at 8 Whiteman St, Southbank VIC 3006, Australia or call +61 3 9292 8888. The northern Australian city of Perth is a thriving metropolis. People from all over Australia and Asia come here to enjoy the city’s many attractions and pleasant climate. One of the most visited attractions in this city is the Crown Perth. The Crown Perth casino is part of a large complex that was planned for this area in the 1980’s. Construction for the Crown Perth was done by Tileska Pty Ltd in early 1985. Company officials were able to have the site ready for the public by late that year. Upon opening, the casino proved to be very popular with visitors and locals. By early the next year, the casino was so popular that it earned a huge daily profit and had people waiting to get inside each day. The entire creation and production was supervised by notable Australian businessman Dallas Dempster. Under his close leadership, the casino has continued to enjoy a great deal of fiscal success. In 1990. the company expanded the Crown Perth and created many important features that people continue to enjoy today including facilities in the casino that are devoted to meeting the needs of high rollers who really enjoy gaming activities. In the last decade, the Crown Perth has been renovated even more to provide for the needs of gamers in the area and those who come here from other parts of the world. Nearly one hundred million dollars was spent in 2000 here in order to provide users with various kinds of important improvements. In the following years, the Crown Perth saw the opening of the beloved Ruby Room nightclub where people can enjoy entertainers from all around the world. About a decade ago, the Crown Perth also started to offer visitors access to the Champion’s Bar where people can relax when they are not involved in gaming activities. People can also enjoy various events at the Crown Perth in the casino’s grand ballroom. During this time, the owners of the casino offered customers all kinds of other events and improved facilities. The Pearl Room is accesible to high rollers and provides delightful views of the local scenic Swan River. The Riviera Room is another important room in the casino that provides visitors with amenities that include a late night nightclub and an upscale modern, contemporary design. The Crown Perth is located at: Great Eastern Highway, Burswood WA 6100 Australia and can be contacted directly at +61 8 9362 7777. The Star Casino in Sydney, Australia opened its doors for the first in September 1995. Though it went by a different name back then it was known as “Sydney Harbour Casino”, and recently changed from “The Star City Casino”. It sits next to an absolutely gorgeous harbour Darling. This harbour housing many of Sydney’s largest attractions and large scale events. The Star has 351 hotel rooms, 8 restaurants, 7 bars, and 2 massive casino gaming areas that span over 100,000 square feet putting it as the second largest casino in Australia. The casino has a very good variety of slot machines and video poker with almost 1500 gaming machines. They also have unique games like Rapid Roulette and Rapid Big Wheel. Table games at the casino include Blackjack, Pai Gow, Baccarat, Craps, Poker, Three Card Poker, Roulette, and Pontoon. Poker at the casino is always going on 24/7 with 20 poker tables. They have many weekly tournaments and great poker promotions. If you looking for more of a private scene the casino’s Invite only VIP Sovereign room is your place where you can relax and enjoy your experience peacefully and lets you place bets up to $75,000. If you are a super high roller take your luck at the Inner Sanctum with table limits up to $500,000. LCD screens everywhere at there 24/7 Sports Bar. Never miss your game with over 50 screens. Cocktails? Cherry is the casino’s luxury cocktail bar with an amazing ambiance that is both fun and stylish. Live music the casino Rock Lily has an amazing line up of International acts and local bands. Being in one of Australia’s busiest cities you will not be short of nightlife entertainment. The casino has a great collection of restaurants ranging up to 5 stars. In a seductive mood, the casino’s Sokyo Lounge will surely help with your love affair. Want a traditional Australian meal you will not find one better than at the Black by Ezard. At the Bella, you can get delicious Italian food that will make you think you are in Italy. With We can not leave out their famous Garden Buffet known for all you can eat prawns. This casino was founded in Canberra in 1994, after acquiring its operational license in 1992, to become the only operational casino in the Australian Capital Territory. This was done after much debating and opposition from concerned local parties that Casinos Austria International became the responsible entity for this casino. They controlled it until 2014 when the Aquis Group owned by Tony Fung, purchased it and now operates it. One unique restriction that has been placed on Casino Canberra is that they cannot house poker machines onsite. This restriction was made in an effort to protect the interests of local poker clubs and despite attempts to negotiate a deal with the government to allow the machines, the casino remains void of them to this day. There are gaming tables that contain Blackjack, Roulette, Pai Gow, Mini-Baccarat, Money Wheel, Rapid Roulette and a poker lounge for table poker even though it isn’t machine-based. There are also membership packages that can be signed up for free of charge and tailored to whichever experience best suits the guest. While this casino does not have a hotel suite or theatres, it does still have one of the finest restaurant and bar experiences in the city. In addition, the gaming floors also contain the Galaxy Club Retro Canberra, a nightclub function that plays retro tunes from the 80s and 90s and offers its guests the perfect opportunity to unwind and enjoy themselves in their Canberra experience. Although there are no hotel rooms to reserve here, there are still rooms that can be reserved for other purposes such as conferences, banquets, weddings, and a host of others and the casino can even bring in-house entertainment to the function. There are also different gaming tournaments that are hosted onsite and private game tables if they are reserved ahead of time and only hosted during certain hours. The casino also has a list of upcoming special events that can be found in their newsletter page. The casino is located at 21 Binara St, Canberra ACT 2601 and can be contacted via phone at 02-6257-7074, although guests planning larger functions should contact Rhiannon Bach at 02-6243-3709 to ask about reservations. Jupiters Townsville is one of the stunning places for dining and all sorts of entertainment. It is conveniently located on the Breakwater creating a luxurious accommodation that oversees the Coral Sea and Magnetic Island or city and Marina on the other side. It attracts a multitude of guests who are on adventure, business and leisure. This is the number one stop at Townsville for unforgettable experiences. Jupiters Townsville is located just eight kilometers from Townsville Airport and a walking distance from the Central Business District, the Magnetic Island ferry terminal, restaurants, cafes and many more. Jupiters Townsville was established in June 1986 and has since been a principal point of the city. With 194 hotel rooms, 11 conference rooms, five bars, three restaurants and events facilities, the multi-award winning hotel has always been a central area of Townsville and progresses to be North’s premier entertainment area. The hotel is one of the landscaped equatorial gardens and features an enormous swimming pool. The hotel offers 24 hour reception, room service, 300 car parking space, huge conferencing facilities and above all janitor services. Entertainment fanatics can relish the live entertainment and Townsville’s only casino. Recently rejuvenated with 350 gaming machines, 20 gaming tables, TAB facilities, Keno and sports lounge you will savor the experience. The new owner, Colonial Leisure Group has commenced with the transformation of the emblematic hotel. This began on October 1, 2014 when the group had attained the hotel. Colonial Leisure Group is enthusiastic about venturing in tourism in Queensland and ongoing with restructuring the hotel into a top regional resort. The hotel is set up for a new identity and comprehensive venue revolution. With a total financing of $30 million redevelopment, Jupiters Townsville is getting ready to recreate itself as The Ville. Executive Chairman for the Colonial Leisure, Chris Morris says that the new name is identical to the former one. He explained that the name was critically chosen since it is a name the natives can relate to, travelers can link to the city and it matches with the refreshing and serene resort-style perception. The CLG’s view for Jupiters is not concentrated on progressing to offer high-quality entertainment, but also remodel the hotel. The aim is to transform it into a superior regional resort and entire entertainment zone that develops the best of Townsville and an entity that North Queensland can be honored for. CLG is an exceptional agent in the hospitality industry with 18 areas in three states in Australia ranging from hotels and resorts to pubs and restaurants. This constitutes the Northern Escapes group of businesses such as Mount Mulligan Station, the Flying Fish, Orpheus Island Resort and more. The Lasseters Hotel Casino is a very exciting and well loved Australian casino. Lasseters is located in Alice Springs, Australia. It is the only casino located in the Northern Territory of Australia. The Lasseters Hotel Casino features hundreds of thrilling games of games to play leaving something for everyone! The Lasseters Casino is a total hit with gaming fans. 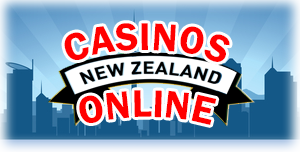 This casino offers traditional pokies as well as table games like Blackjack and Poker! This particular casino also serves customers with 4 bars and a 4.5 star hotel with over 200 rooms for guests. Many of these rooms were recently added in 2002 meaning that they are up to date and ready to accomodate! To go even further, this means that customers may play all day and never have to worry about leaving until they are ready! Many individuals love the view and the opportunity to play, eat, and sleep whenever they want to. The Lasseters Hotel Casino prides itself in being able to participate in large events and charities and has done so since its grand opening. This particular hotel and casino hopes to serve its community in similar ways for many years to come! The famous Lasseters Hotel Casino opened its doors to the public in 1981 under the name Diamond Springs Casino. In 1986 the casino was sold to a new owner who quickly renamed the casino Lasseters Hotel Casino. Yes, this beloved hotel and casino have been satisfying the gaming needs of players for well over 30 years! The owner of Lasseters Hotel Casino is Lewis Hubert Lasseter otherwise known as Harold Belle. This man has also been accredited with the discovery of Lasseter’s Reef in 1987 which is a rich gold reef near Alice Springs. This reef is famous but has yet to ever been found. Still, he remains a very important individual in the community. Lasseters Hotel Casino is the total package. Lasseters Hotel Casino is made up of incredible restaurants, delightful bars, a large casino, and a state of the art hotel. Customers are guaranteed to have a great experience because the staff at this hotel are highly trained in customer satisfaction. More than 92 percent of the individuals that have stayed at the Lasseters Hotel and played at the Lasseters Casino have been more than satisfied without a single complaint. Others have had few very minor complaints. Lasseters is truly is another wonder of the world. Like much of Australia’s rich past, Australian lotteries have provided an equal mix of recreational fun and revenue generation for the nation and/or states over time. Lottery operators must be licensed at the state and territory level, but that’s where uniformity ends. Aussie lotteries can be run by state government-owned, non-profit and private sector entities. Dig deep into the roots of Australian lotteries to discover a mixed heritage of illegal sweepstakes that jumped from state-to-state ahead of the law, until Australian governmental authorities realized that gaming enterprises like lotteries could be harnessed to generate revenues for everything from state improvement projects to national economic crises. Desperate for ways to raise cash when the Great Depression hit in 1931, government officials again intervened with a scheme to hold the New South Wales State Lottery. Recipients of this largesse were both citizenry and municipal entities. Perhaps most prestigious recipients of lottery revenues are two iconic landmarks: The Harbour Bridge and Sydney Opera House. The completion of the opera house alone required 496 separate lottery initiatives to raise the AU$102 million needed to finish the structure. Televised state lotteries were first introduced to an anticipatory New South Wales viewing audience in 1979. By the 1980s, state lottery consolidation and a permanent national lottery presence triggered an explosion of new games that have generated a national obsession benefitting all manner of Australian interests. Established in 1972, the Saturday Lotto has been operated by Tattersall’s since the game’s first draw in June of that year. It’s a favourite of players in New South Wales and Western Australia and it’s known by several other names that include Gold Lotto (Queensland) and X Lotto (South Australia) and the signature “TattsLotto” in ACT, Northern Territory, Tasmania and Victoria. A recent Saturday Lotto payoff (2016) was AU$4 million. The game follows specific guidelines that must be adhered to if a winner is to collect his prize: Players choose six numbers between 1 and 45, buy their tickets and await the official drawing of six main numbers and two supplementary numbers. To take the entire pot, one must have picked all six main numbers. The system employed to calculate earnings is “pari-mutuel,” which means ticket sales determine winners within each division. Multiple winners receive a portion of the cash based on that percentage. Odds are posted on the Saturday Lotto webpage and the minimal play for those engaging in the TattsLotto is four games. In general, overall odds of winning were set at 1 in 85 in early 2017 and if there’s no winner drawn, the pot is rolled over up to four times, at which point the Division 1 prize pool is automatically shared by Division 2 winners. Prize claims are determined by the method one uses to buy a ticket: If acquired via the lottery’s online “concierge service,” winners are notified by e-mail and winnings are transferred to an online account. Division 1 prize money takes approximately 24 days to be transferred. If the lotto has defaulted to Division 2, payouts are usually disbursed within eight days. Other cash awards usually take 24 hours to be settled. On the other hand, ticket purchases made at retail are based on award amounts and disbursed at any TattsLotto location, as long as the ticket was bought in the same state. Lack of sufficient available funds may delay payments, particularly if the payoff is large. There is a two-week window for collecting winnings for Division 1 prize recipients. In an effort to increase funding for community programs throughout New South Wales in 1979, a Monday Lotto was instituted, but this lottery has undergone myriad changes since then. The standard draw time takes place at 7:30 p.m. AEST on Mondays, and results are posted to the Lotto results web page soon after. Play rules are similar to other Australian lotteries: Consumers pick six numbers from a field of 45 and if they can only win if their numbers match all six of those drawn to take a Division 1 jackpot. Two supplementary numbers are drawn so players are eligible for additional prizes given to sustain interest in the lottery. Ticket purchases can be made online with winnings paid via electronic transfer; otherwise, e-mail notification may direct the winner to a retail outlet to sort out payment. The Monday Lotto winning amount tops off at AU$1 million and can be split between four players if a wagering pool is established, but if there are more than four people, that prize pool could top out at AU$4 million annually. Odds of winning are posted on the Monday Lotto web page and are sorted by Divisions 1 to 6, with the highest odds given for a Division 6 match/supplementary number mix. Approximately five years after the Monday Lotto launched, a Wednesday draw was added to satisfy Aussies hungry for more lottery contests. There’s a slight time difference in the process in that the mid-week draws are held at 10:30 p.m. AEST and winners can find out results fairly quickly if they’re willing to stay up late. The draw process is identical to aforementioned lottery protocols: consumers choose 6 numbers within the 1-to-45 range within the Division 1 draw, and there are also six tiers of prizes up for grabs and two more balls are chosen after the original six so the amounts of cash dispensed in certain tiers are increased up to AU$1 million. Like the Monday Lotto, if more than 4 players win a stake in the prize on a single draw, each may be entitled to receive an equal share of an AU$4 million prize. Odds based on a single Wednesday Lotto contest decrease by division; for example, a 1st Division 6-pick match comes with odds that are over 8 million, but a mix and match of partial numbers/supplementary numbers could be as low as 1 in 144. Purchases made online offer payoffs for winners via electronic transfer, but a player buying a ticket at a licensed retail shop must claim the award in person once numbers have been announced late on Wednesday night. If you prefer a lottery that’s more complex and comes with higher rewards, Oz Lotto is your wagering choice and will give you something to occupy your mind in-between Monday and Wednesday. Originated in 1994 and proclaimed Australia’s first official national contest, it’s wildly popular because payoffs are so high. The largest? AU$100 million in 2013. Because one in three Aussies bought tickets for this draw, that pot was huge. Nine balls are drawn at random every Tuesday from a 45-ball cache. The first 7 are considered winning numbers; the other two are supplementary, but all 7 must be chosen in a single game if the wagering party is to be declared a big winner. To get in on the action, purchase a ticket no later than 7 p.m. AEST on Tuesday. The winning ball numbers are usually announced around 8:30 p.m. AEST, so this is a quicker route to learning the lottery’s outcome. Since there are more numbers in play when this \lottery is decided, players have more opportunities (7) to win. One can pick 7 numbers or opt for a “Quick Pick” assignment in which random numbers between 1 and 45 are chosen for the player. Further, there are options within the Quick Pick system: Oz Standard, Oz System or Oz Pick Entry. High rollers can get in on a “Top Up” draw which offers bigger winnings with higher risks. Even the name is enough to entice lottery fans to try their luck. Conceived by Tattersall’s in 1996, this lottery’s aim is to give players opportunities to win larger cash prizes than most of the other national lottos. Thus far, the largest Powerball winner claimed an AU$80 million prize and this is the most widely available contest for gamers since tickets can be bought through Lottery West, NSW Lotteries, Golden Casket, the South Australian Lotteries Commission and Tattersall’s. Online ticket purchase is fast and efficient via the lottery concierge. No need to interrupt your Monday, Wednesday or Tuesday Oz schedule because Australia Powerball is the highlight of the night on Thursdays when wagering stops at 7:30 p.m. AEST followed by the announcements of winners on website results pages fairly quickly. The Powerball field is a bit smaller thus chances of a win are better than most: Pick 6 numbers from 1-to-40 plus a 7th (that’s the Powerball). Take home the jackpot if you hit with all 7 numbers. For purposes of comparison, while the odds on most Australia lotteries at the 6th level are about 1 in 44, play Powerball and overall odds of winning a prize can be as low as 1-in-78! There’s even a minimal top prize standard that’s set at AU$3 million. What attracts Powerball fans? Lower odds, convenience, quick results and what may feel like unlimited turn-over potential. If players don’t make a perfect match in successive Division 1 draws, jackpots snowball into the next draw period thus huge amounts of money wind up in each pot, but there is an end in sight for frequent Powerball players: Once the 25th successive rollover takes place, all of the funds are divided among lottery players in the next winning division on the list, so staying in the game could turn out to be fortunate. Lottery aficionados can forget about keeping a calendar to make sure they don’t miss buying a ticket for a draw on a specific day because Australia Keno draws are held every few minutes, so any time is a good time. Also known as the 10-20-80 game, this contest requires players to draw 10 numbers from a field of 1-to-80, after which time the lottery itself draws 20, expanding the winning universe. Picking 10 numbers isn’t even required for Daily Keno players; many feel lucky enough to pick just one. Variety seekers could find in keno wagering more flexibility and exciting because there are many play options to shake things up. For instance, online and in-person Keno differ. If you’re playing online, you’ll use a video format versus the in-person version that requires filling out cards before the draw. The 80 number choices are called spots, but your chances of hitting a 20-spot win are “astronomical,” which is why Keno players feel they have a better chance of winning by playing only 10 or 15. Veterans advise Keno players that there are no useful strategies for this type of lottery, because numbers are picked at random. Frequent players claim that playing online offers better odds than patronizing a retail outlet. Set for Life is the new kid on the Australian lottery scene, having been introduced in 2015. It’s the second generation national lottery following Powerball in 19 years. Play it and every participant is set for life because this game acts like an annuity, sending up to four winners the equivalent of AU$20,000 monthly for 20 years. Play Set for Life any day of the week you choose by selecting 8 numbered balls from a field of 37 and if picks are on the money, prizes are awarded to players in 7 divisions. Two supplemental balls are also drawn to expand winnings, but these are called Bonus Numbers in Set for Life lingo. Players choose their own numbers or let the system to choose them through a “QuickSET” system. When time comes to draw, 10 balls are pulled and winning numbers are broadcast via website results pages. There’s a minimum ticket purchase amount of two sets of numbers and these two sets will be entered into drawings held for 7 consecutive days. Odds decline in favourability as combinations of numbers winnow down from 8 main numbers to 4 plus one or two Bonus Numbers, but for those seeking the grand prize totaling almost AU$5 billion over that 20-year span, there are no lesser goals. Imagine standing rail side at a horse racing track as you wait for your horse to come in. Fast forward to 2017 and find yourself standing at a virtual rail as thoroughbred horses and greyhounds in animated form compete for Win, Place, Quinella, Trifecta and First Four honours. Fixed returns work exactly as they do at the track, minus inclement weather and track conditions. Available only in Victoria and New South Wales, Trackside has been a controversial gaming option outside these two states and wagering couldn’t be simpler: determine the number of games you wish to play (up to 100), indicate bet type (win, place or “each way”), mark selections and see which virtual animals cross the finish line first. Will Trackside find its way to states outside the two currently in play? Not likely. While the animated video game passed muster with the nation’s racing lobby, requests to add Trackside to government-owned TAB outlets has made no progress since 2010. This Tattersall-run lottery game is run throughout the country with the exception of New South Wales, so you needn’t travel to get in on the action. Super 66 is a piggyback draw because winners are announced right after the nation’s main lotto draw every Saturday at 7:30 p.m. AEST. Buy a Super 66 ticket or mark a box on the ticket that pairs your pick with Powerball, Oz, Monday, Wednesday or Saturday Gold lotteries. Your six numbers will be assigned randomly (0 to 9). Play as often as you like registering individually or pick up a dozen games by checking the “multiple” box on the ticket. Let your retailer know how many chances you wish to take and the lottery terminal will output your coupon with your chosen picks. If you’re on a budget, the Super 66 could be your ticket to a win because it’s cheap to get in on the action and the more you play, the more discounts you get. Unlike other lotto types, only one prize per entry is awarded, but if there are two sets of sequential numbers are declared, ticket holders win a higher division prize. Further, if the Division 1 prize goes unclaimed for 25 consecutive weeks, winners in the next higher division split the money. Buy tickets 10 weeks in advance if you like to plan ahead, plan to travel or don’t want to miss a chance to play–or if you just dislike queuing for coupons at retail. If you wonder why this is called the Super 66, prize amounts range from AU$16,666 at the top all the way down to AU$6.60. Frequent players know this lottery simply as The Pools because when it comes to the game of soccer, there is no competitor sport that’s as popular. It’s wise to follow Australian and European matches religiously so you know which football team to bet. Players are asked to choose six matches from 38 staged each weekend, despite the fact that in actuality, there may be 60 meets on the worldwide competitive calendar. The remainder of the matches are put into reserve just in case there’s a postponement or an event is cancelled. Once all matches are over, lottery officials rank teams using a formula that includes scores, whether a team is playing at home or away and factors in no-score matches. The top six game results determine winners, though there’s a same-ranking result award in which the higher game number wins out. Lower division prizes are also awarded. Wagers must be settled by 2:30 p.m. AEST every Saturday during Australia’s Southern Hemisphere play season and by 7:30 p.m. AEST during the Northern Hemisphere/European season. Results are computed the following Monday and top prizes for Division 1 ticket holding winners are at least AU$75,000, but rollovers apply to The Pools lottery so the longer the pot remains in play without a declared winner or winners, the larger it grows. Given a state’s need for boosted revenues for any number of reasons, Australian law allows state government to launch lotteries that are restricted to their boundaries. According to the National Lottery website, the most popular state draw types are Lotto Strike, Cash 3 and Intralot. The first, Lotto Strike, operated by NSW Lotteries, will only be found in New South Wales and the Australian Capital Territory. Lotto Strike was first introduced in 1993, costs just AU$1.00 plus agent commission to play, but one can only buy the ticket in concert with a standard Lotto play. Four balls are drawn to determine the winner and it’s possible to win if one has only one corresponding number out of the four needed to win the jackpot, potentially worth AU$100,000. This draw caps at AU$2 million should there be no winner after proceeds are bundled into the next draw. You must travel to Western Australia if you wish to get in on the Cash 3 lottery because this contest is limited to this state and run by Lotterywest. Seasoned participants feel that this lottery gives them more control over the game because one can choose from ticket costs and focus on three different play types: Exact Order, Any Order or Both Ways. Daily payoffs for winners range from AU$40 to AU $500. The third most popular state-specific lottery, Intralot, is named for this lottery’s operator. This contest is confined to the states of Victoria and Tasmania, but in 2014, the Tatt’s Group assumed ownership of the franchise in both states. A popular gaming website compares the nation’s Lucky Lotteries to site visitors as the equivalent of raffle tickets sold to raise money for charity, but in the case of this game of chance, the player is the charity and the investment players make in the game are rather modest at either AU$2 or AU$3 plus modest agent commissions. Once available only to people living in New South Wales, Lucky Lottery tickets are now sold at all Tattersall’s outlets and have been since 2015. Rules are not very different than other lottery types throughout Australia in that tickets are “auto-picked” by a computer and disbursed sequentially, but buy 10 numbers or less and one may opt to have numbers dealt out randomly. Though Lucky Lotteries don’t require much investment, jackpots have reached AU$10 million thanks to rolled-over funds when there are no previous winners. Unlike a set day or time of day, draws are sorted once all tickets are purchased from NSW lottery sites and prizes are available on the following day. Alternately, the AU$2 lottery draw is held each morning (perhaps more than one) because it is popular, but the AU$5 lottery isn’t as well subscribed so more time may elapse before the draw is undertaken. There are big prizes and small ones that range from AU$10 to AU$1,000. To spice up the Lucky Draw category, special draws are announced from time-to-time, like the Lucky 7 which required players to buy a AU$10 ticket which was then used to qualify the ticket holder for five weekly draws in a row. Lucky 3 and Lucky 6 lotteries offer prizes of a similar amount to those awarded for Super 66, but perhaps the most high-profile Lucky lottery invited players to match the number 7 exactly to earn the big AU$1 million jackpot. Buy tickets online for the most efficient transfer of winnings. There has also been a Lucky Lottery Mega Jackpot draw staged to engage players who are eager to vie for a guaranteed minimum prize of at least AU$1 million. Only 200,000 tickets are issued for this category and once sold, the draw can be staged. Players can ask that their five (maximum) tickets be disbursed in sequential order or at random, but one can’t pick favourites. While the odds of winning a prize are a surprising 1:16, so many cash prizes are awarded to participants; payout could be as low as AU$12. Buy lucky lottery ticket online by registering yourself online at nswlotteries.com.au at the same price you’d pay in-store. With fast and easy registration process and you’ll be able to deposit funds, choose the number of tickets and put your entries online. Or you can buy at your local NSW Lotteries Outlet. Call them Instants, Scratchies or Scratch offs, but Australia’s entry into the world-wide popularity of lotteries that provide instant gratification has become a super-phenomenon generating approximately AU$525 million per annum. Originated in the U.S. in 1974 in concert with the nation’s retail promotions industry, instant lottery cards have since captured the dollars and imagination of Aussies and this easy, fun quick-paying game is now everywhere. Popular throughout the nation, these paper cards offer consumers an immediate payoff that’s revealed when a coating hiding the amount is rubbed off revealing whether the card purchaser has won or lost. Sold by Tattersall’s and Intralot Australia in denominations of AU$1, $2, $3, $4, $5 and $10, larger-denomination Scratchies are also available at AU$500,000. While the Superdraw Lottery is only staged a few times a year, it resembles the traditional Saturday Lotto in format but the Division 1 prize for one or more winners can total AU$20 million or more. This infrequent event has made several Aussies millionaires. There’s a single draw but it’s commonplace for several ticket holders to share a Division 1 jackpot. Entering is a fairly simple matter: one selects six numbers between 1 and 45 and if all of them are represented on a winning card, the winner is declared. Players may also win according to a set of matched numbers with and without supplementary numbers, but the Saturday Superdraw isn’t the nation’s highest payout: The Australian National Lottery has been known to stage Megadraws with larger, grander payouts, but these are held more infrequently than Superdraws. In a class by itself, the Prize Home and Prize Car Lotteries are charitable schemes that benefit charities, but the true winners are Aussies bidding nominal amounts of cash for various types of homes donated by top Australian home developers and automobile dealerships. Consumers peruse array of condos, single-family homes and other residential structures, place a bid and if they win, they take possession of the home. All revenues generated by lottery ticket sales are used to help subsidize charities throughout the country. Car lotteries operate in the same way: automobiles are donated to charitable causes and winners are drawn once the lottery time deadline ends. Australians may see more of these types of lotteries in the future as commercial interests receive the benefit of widespread publicity, non-profits acquire much-needed funding and consumers are given yet another opportunity to take a chance on winning.